Dr. Louis Creed (Jason Clarke) and his wife Rachel (Amy Seimetz) decide that their family needs a change of pace so they move out to the country. They take their son and daughter and their cat Church to try and live a quiet and peaceful life, but soon things start to go awry. They meet their neighbor Jud (John Lithgow) who knows too much about the land that they Creeds own. One day the Creeds’ cat Church is hit by a car and Jud shows Louis a way to bring their cat back. When Church comes back, he definitely seems different, but their daughter Ellie is happy so they let it go. Then on Ellie’s 9th birthday she is hit by a semi and Louis decides to bury her beyond the pet sematary to bring her back, well Ellie does come back, bringing something sinister as well. It boasts a stellar cast and they do not disappoint. Everyone is putting in the work and giving it their all. The performances never go over the top or too loud or ridiculous. I especially want to applaud Jason Clarke as Louis Creed. He is clearly capable of being a leading man and Hollywood needs to take a note and begin casting him more as a lead instead of a supporting man. Amy Seimetz also does very well with the minor parts she has, giving great reactions to the insanity befalling the family. John Lithgow is great as he always is, I just wish he could’ve had more as well. I don’t know what the budget was for this film, but I can’t believe that there wasn’t a better option for the burial scenes. John and Jason looked like they were on a sound stage from 1950’s Hollywood. It was clear green screen in the background and they were clearly on a stage. It reminded me of the outdoor scenes from White Christmas. Seriously, there was no better option? You couldn’t just go outside in the woods and film this? Ok.
We are in this weird age where nostalgia seems to dominate pop culture, from clothing, to shows, games, and most of all movies. So, in this age we are being inundated with a lot of garbage attempting to get our money by preying on our wishes for a simpler time. Because of the high volume of nostalgic material there is a lot of unnecessary garbage. Unfortunately, this falls under that category. If you don’t add anything to the original or make your own distinct mark on the project, then there’s no point in making the project. Stephen King and Semi Trucks… I don’t know. 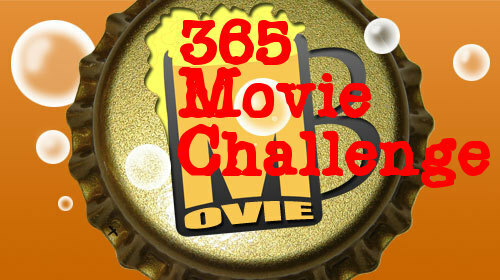 I was thinking of only giving this film 4 beers, but one part kept bugging me enough to add one more beer. I grew up in a small town in Missouri, and we had a highway that went through town that the semi-trucks used. There are really loud and cannot sneak up on you. The fact that these massive trucks seemingly moved like ninjas and snuck up on this family twice is something that I couldn’t get past. Sometime it’s better if things stay dead. Maybe one day we will have a great version of this film, but for now it seems like this is one of Stephen King’s stories that just doesn’t transfer to the big screen. Do a Shot: every time a Semi sneaks up on everyone. Take a Drink: for every long build, up to a scare. Do a Shot: for every stab. Take a Drink: every time you get annoyed at Louis Creed. His decisions are stupid and the results are his fault, I do not feel bad for him.